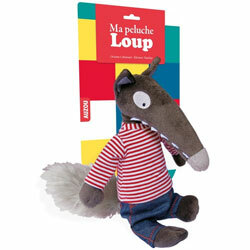 If you have enjoyed 'le Loup' stories in French (or Der Wolf in German and Lobo / Lupo in Spanish! 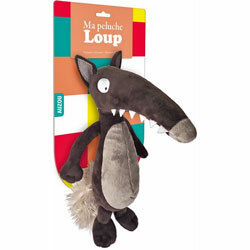 ), then you will love this very festive plush cuddly Le Loup soft toy! 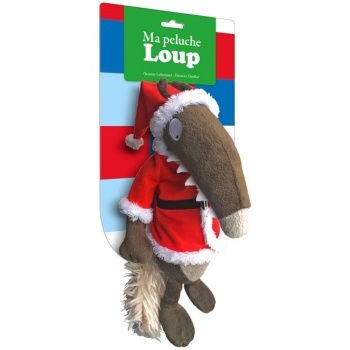 Measuring approx 30cm, the wolf has a grey fluffy tail, felt teeth and embroidered eyes and is dressed in a festive Santa outfit! His clothes can be removed and are suitable for handwashing. Bring your storytelling to life!